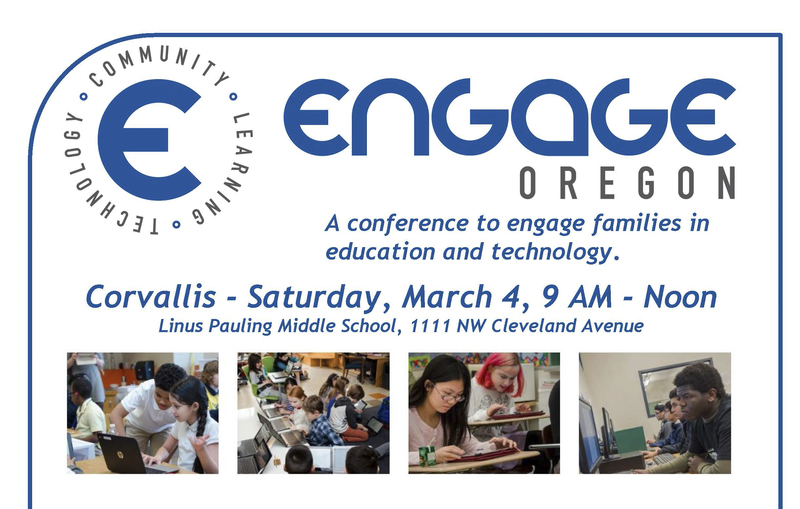 Engage Oregon is sponsoring a free workshop in Corvallis on Saturday, March 4, to teach parents about technology tools that can help their child succeed in school. Breakfast and a variety of sessions about technology tools will be offered. 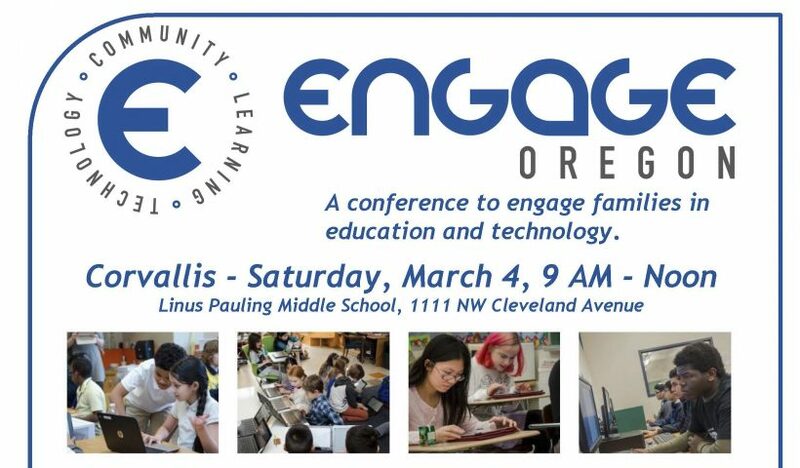 The event is from 9 a.m. to noon at Linus Pauling Middle School, 1111 NW Cleveland Ave., Corvallis.